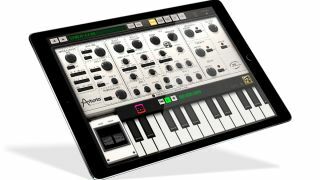 The best post-Christmas iPad deals for music makers: which iPad should you buy? Despite what you might have read on a forum somewhere, when it comes to music-making, iPads are far more than just ‘toys’. In fact, an iPad is a great thing for pretty much any type of musician to have: you can install a DAW app and use it for full-on music production; it can run great-sounding synths, drum machines and other instruments; it can model guitar amps and effects; and you can display sheet music on it. The good news is that whether you’re looking to upgrade to a new iPad or purchase your first Apple tablet, now’s a great time to buy. Post-Christmas discounting means that there are deals to be had, and we’re here to tell you about them. But what is the best iPad for music-making? The new iPad Pro is as good as you’re going to get, offering the most powerful processor and sharpest display. It’s available in 12.9-inch and 11-inch configurations, with prices starting at $999/£969 and $799/£769 respectively for the 64GB WiFi models before any discounting. Don’t discount the regular 2018 iPad, though. It might have a smaller 9.7-inch display and a less powerful processor, but it’s still more than capable of running the best iPad music-making apps. What’s more, its Lightning connector means that it’ll be compatible with far more of the best iOS music-making peripherals than the iPad Pros, which have switched to USB-C. And then there’s the issue of cost: the regular price for the entry-level 32GB iPad model is $329/£319, which is less than half what you’d pay for the cheapest iPad Pro. We’re less inclined to recommend the iPad mini, especially at the standard price of $399. You do get 128GB of storage for that, but it’s powered by the ageing A8 chip and is definitely due an update. It’d have to be a pretty massive iPad mini discount to tempt you. Below are the best iPad deals for music makers that are available right now.